The idea of giving up working may sound blissful; the chance to spend your time in the way you choose to, and perhaps spend more precious hours with your family too. But financial concerns can cast a cloud over your plans, and might even prevent you from giving up work as early as you want. Many people still have a mortgage left to pay when they reach retirement and this is often one of the most pressing debts that has to be managed. However, there are ways to reduce this financial burden; we take a look at a number of different options you could consider. If you have a comfortable income which is secure, you might want to consider using investments or savings to pay off the balance of your mortgage. One way to manage this is to use the 25% tax-free cash lump sum that you can take when you start receiving your pension. Depending on the size of the pension funds that you have accumulated, this lump sum could be fairly substantial. However, it’s not necessarily a good idea to use this money to clear your balance if you don’t have sufficient funds coming in on an ongoing basis, or an emergency reserve. Generally speaking it’s considered sensible to have at least 6 months’ worth of income set aside before you use surplus funds to pay off debts. You should also make sure you take any early redemption penalties into account when calculating if clearing your mortgage is financially advantageous. Forking out for mortgage payments every month may feel like a heavy load you’d rather get rid of, but before you use your precious savings to pay off the balance, take a look at the relative interest rates. At the moment interest rates on mortgages are still at record low levels, which means may not be paying too much extra on top of what you borrowed. Compare this rate to what you could get from a high-interest savings account. If the interest rate you could get paid on a savings account is higher than the rate you are paying on your mortgage, your money would be better off saved than paying off your mortgage. Keep an eye on interest rates though because they will inevitably climb, and at some point it will become more profitable to pay off your mortgage than carrying on saving. If you aren’t in a position to clear your mortgage entirely, but have some spare cash, you could use it to reduce the overall balance. 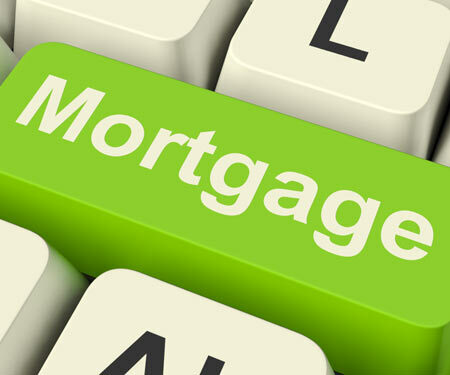 By paying a lump sum into your mortgage, you could reduce the monthly payment, or alternatively, shorten the term. This gives you the option of either becoming debt-free more quickly or else making your monthly commitment more affordable. Again, it’s important to check whether there will be any penalties as not all mortgages allow overpayments. An alternative way to lower the monthly payment is either to switch to a cheaper mortgage, or to extend the term. Opting for the latter may mean you pay more in the long term, but will reduce the amount that you pay each month. Not all mortgage companies may be willing to extend the term or offer a new mortgage to older borrowers so you may need to shop around to find the right deal. Rather than change your mortgage payments, by generating some more income, you might ease some of the pressure on your finances. There’s a few ways to do this. If you live in a larger house and have a spare bedroom, you might decide to take in a lodger. The demand for rented accommodation is at an all-time high and you should easily be able to find a suitable candidate. Do remember to get references and don’t agree to let the room to anyone you don’t feel comfortable sharing a house with. Renting your driveway is another easy way to raise money, especially if you live near a train station, town centre or in an area which attracts frequent visitors. Prime locations such as Central London could generate as much as £20,000 per year. Not an option that’s right for everyone, but if your property has risen in value you might want to consider an equity release. If you want your home to be inherited by your children or other financial dependents, equity release might not be the right option for you. However, if you don’t want or need to pass your assets on, you could free up the cash in your home to clear your mortgage and potentially provide you with some extra money too. It’s highly advisable to get independent financial advice before making a decision about whether equity release is right for you. Some of these ideas could help reduce a mortgage no matter what age you are, but if you’re approaching retirement, you might find one or more of these solutions substantially ease the financial worries. And of course, it goes without saying that cutting your outgoings will help too: shopping at cheaper supermarkets, using cash back sites and changing energy supplier could all help lower your monthly commitments without having to make any sacrifices. Author Bio: Tim Flowers blogs for Saga.